I often stress to parents that we seek to both educate and form our students. Yes, we teach important content knowledge, but our students will graduate as more than mere competent thinkers. We aim to form virtuous, thoughtful, and ethical people. An example of this approach is how we teach math. We think about math as more than just a technical discipline at the service of college or career; it is instead a field of study that demands the habit of careful reasoning, the fluidity of creative thinking, and the rigor of logical contemplation. This method begins with our Middle School Math Circle. Open to students in grades 6-8, the Math Circle explores a variety of mathematical topics by posing a question or problem with a low bar to entry but a high ceiling for discovery – some topics are the sorts of problems that graduate students study for their dissertations! The students work together to parse the wording of the problem, model the questions being posed, and use creative reasoning to work towards a solution. Our high school math curriculum builds on these habits of mind that we teach in the Math Circle. Our math classes demand deep understanding of mathematical principles. When introducing new topics or problems, though, we offer students encouragement and opportunities for applying critical thought and creative reasoning to arrive at a solution. Through this deeper engagement, students acquire an understanding of the logic of mathematical principles and an appreciation for the depth and beauty of mathematics. Our goal for our students is not that they achieve mere technical competence, but that they form the habits of reasoning and diligence required for both technical success and human fulfillment. 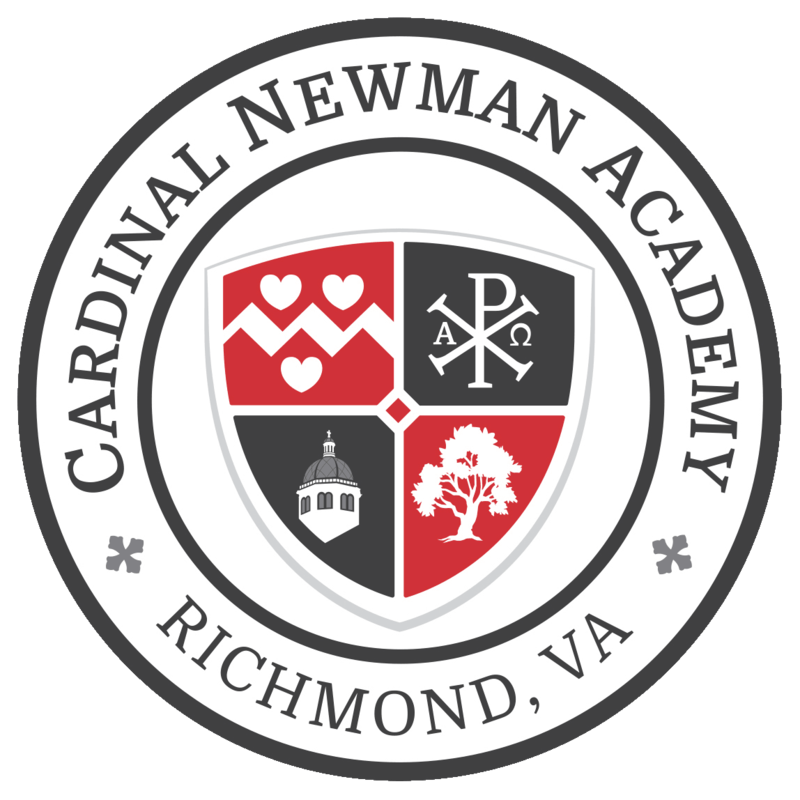 As the summer quickly approaches, I am looking forward to moving to Richmond and beginning the next chapter in my life as the Head of School at Cardinal Newman Academy. I am excited to get started. But what exactly am I excited about? What is my goal for CNA? It is simple: to have it be the best school in the country. I want our school to offer students the best possible experience of the truth in all of its glorious and wonderful facets. Although these facets present different aspects of the truth, it is good to recall that all study of truth is fundamentally the study of one thing: God. This ultimate reality of things will permeate and order the academic experience at Cardinal Newman Academy. Too often, schools fail to offer students anything resembling a rational whole because they have no integer: no one thing that orders and gives meaning to everything in the course of studies. Without such an integrating principle, education seems arbitrary at best and meaningless at worst. This will not be the case at Cardinal Newman Academy. Everything relating to the life of the school will have its proper place, understood in light of the integrating principle of the school. I am excited to begin this noble mission at Cardinal Newman Academy. I look forward to meeting you all and working with you to make this school a truly great place. As St. Paul reminds us, we can do all things in Christ. Please pray for me and pray for the continued success of Cardinal Newman Academy. With great excitement, I am pleased to announce the hiring of our next Head of School: Stephen Fitzpatrick. Starting this Fall, Steve will lead our continued growth and will work closely with the Board of Directors and faculty in shepherding our vision for a unique academic and faith environment that serves the Richmond Catholic community. He will also work closely with Dr. Eileen Lapington, who will be stepping down from her role as Director at the end of the academic year. Eileen looks forward to contributing to the life and growth of our school in new ways, both inside and outside the classroom. Steve holds an undergraduate degree in the Liberal Arts from Thomas Aquinas College and a master’s degree in Theology from the University of Scranton. Steve has been a teacher, administrator, and coach in several public and Catholic schools in both Canada and the United States, most recently Gregory the Great Academy in Pennsylvania where he currently teaches. He has taught a wide array of disciplines including Latin, algebra, geometry, humanities, physics, science, music, and writing. He has also held several administrative positions and has considerable experience in teacher training and development. Steve and his wife Vanessa are the proud parents of five children, and in his spare time he enjoys playing music, reading, and playing with his kids. Steve has contributed to Crisis Magazine and has lectured at the Wojtyla Summer Institute for Teachers. 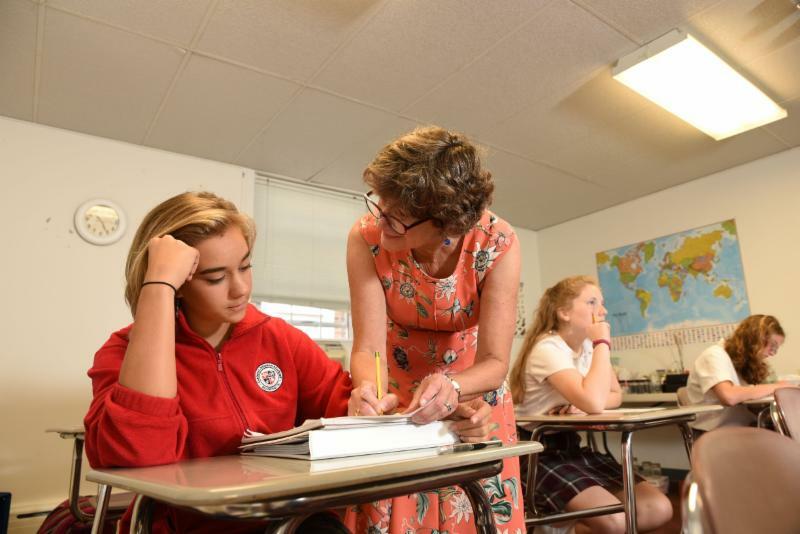 We have been immeasurably blessed by Eileen’s leadership as our Founding Director, and we are grateful for her continued role at Cardinal Newman Academy moving forward. And as we welcome Steve as our Head of School, we thank our community for your support and prayers as we continue to build our vision for education in Richmond. 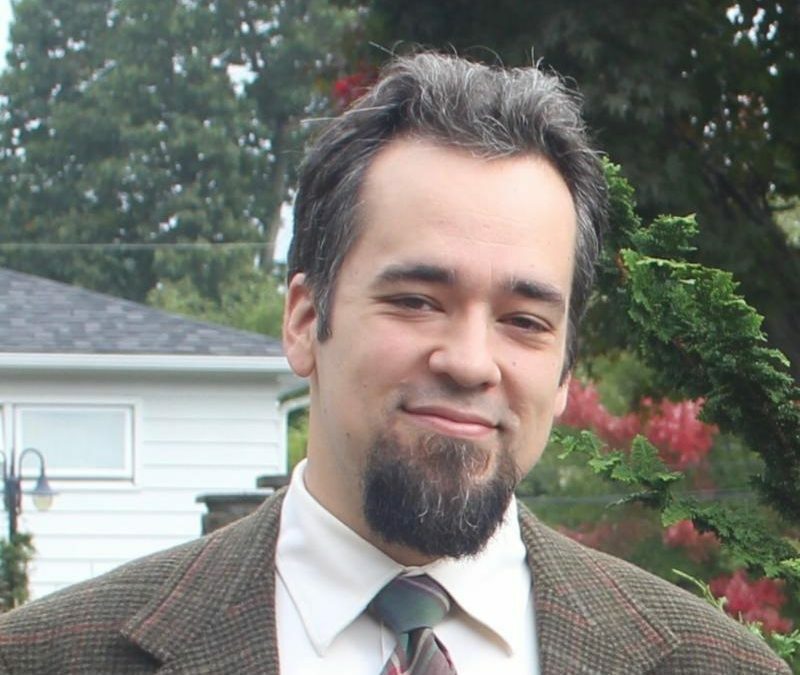 I am pleased to introduce the newest member of our Board of Directors: Fernando Metcalf. Thanks to our generous donors, we finished 2018 celebrating another milestone: a successful Christmas Campaign! In total, your support helped us raise over $34,000, exceeding our goal of $30,000. As we continue to grow and serve the Richmond Catholic community, our community’s support and generosity help shape the education and culture at Cardinal Newman Academy, now and into the future. You are helping educate the next generation of leaders who will seek in wonder, and serve with joy. 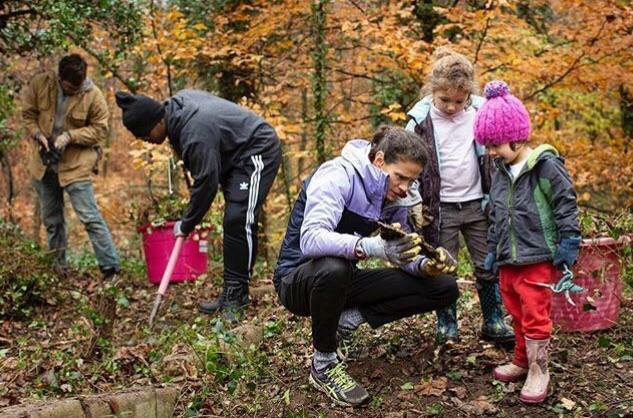 We now look with joyful excitement to 2019 and sharing with you our continued growth and success and how your support is changing lives! Throughout the year, our benefactors and supporters are remembered in prayer at Cardinal Newman Academy. Thank you! 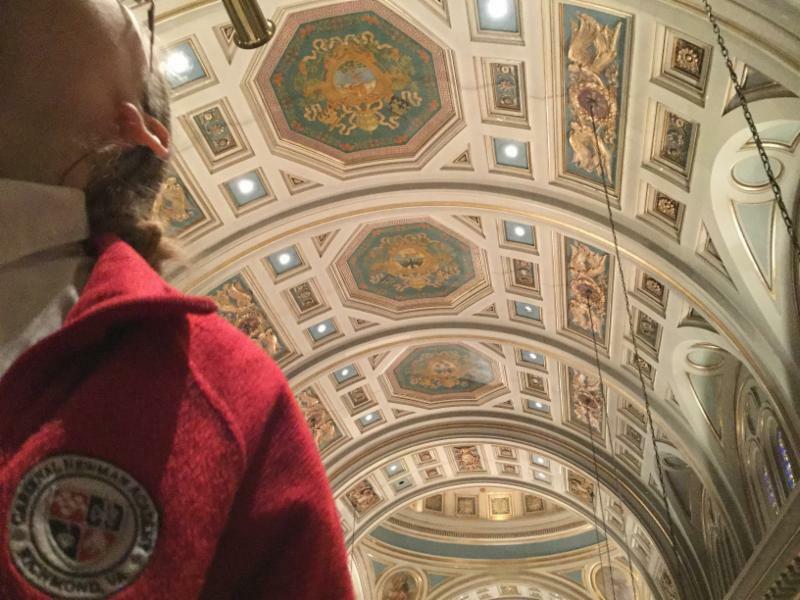 November Roundup: Fencing Returns, Annual Pilgrimage, and a Christmas Announcement! Happy feast of St. Nicholas! November was a busy month at Cardinal Newman Academy. We hosted several shadow days with prospective students, as well as our second Admissions Open House. Welcoming visitors to our school gives me great joy, and I look forward to seeing more new faces as our school continues to grow. CNA’s Service Club organized this year’s annual trip to East End Cemetery. We joined volunteers from VCU to help clean this historical cemetery. The event is always a great opportunity for our students, families, faculty, and Board to come together in service and in prayer for those who have gone to their eternal rest. Every year, our students participate in a pilgrimage. 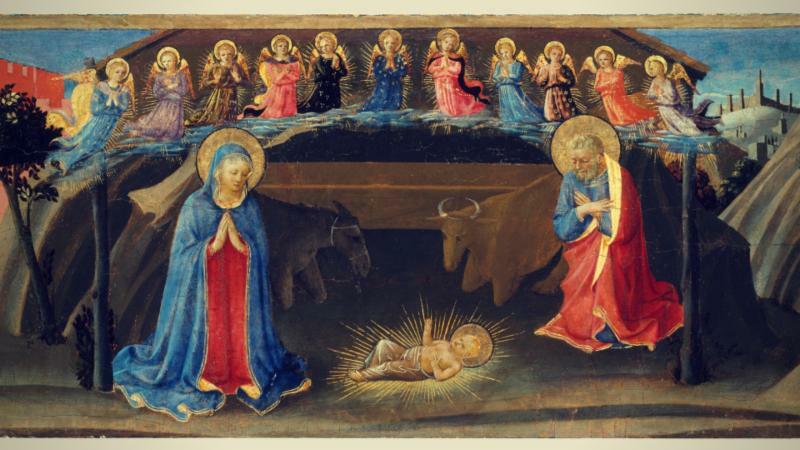 “To step out of ourselves and encounter God,” in the words of Pope Benedict XVI, is a great gift. 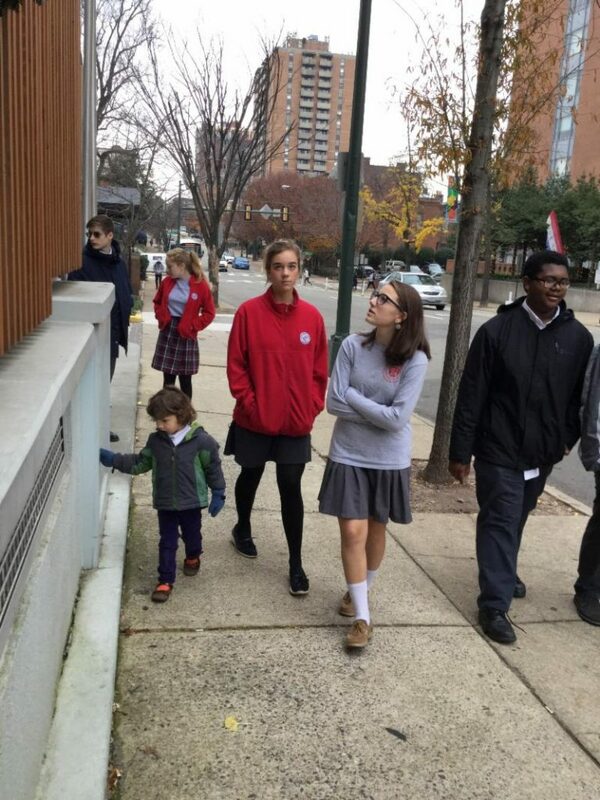 Last month, students toured the Cathedral of the Sacred Heart, then walked to St. Peter’s Catholic Church, the original cathedral of our Diocese, for noon mass. Our former Olympian and Coach Dee Hayes has returned to CNA this year to continue offering fencing to our students. 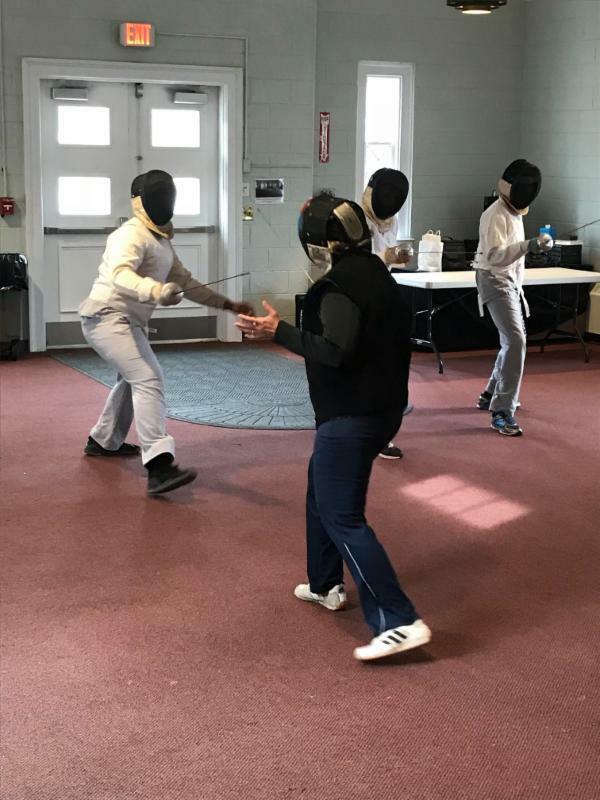 We’re grateful to have her, and our fencers are improving their skill and discipline! In music, students are presenting on various composers and will be attending a concert and choral performance at the University of Richmond. Stay tuned for an announcement next week on this year’s Christmas Challenge . Last year, you helped us raise over twice our initial goal!! Check your inbox and our Facebook page next week for information on how you can join our challenge and support our growing school.